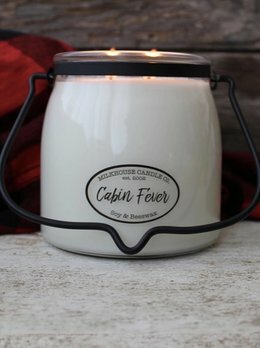 Give your country home a cozy scent with the Milkhouse Cabin Fever Butter Jar Candle. The aroma is a woodsy, warm, and spicy blend that's sure to enrich any space. 60 hours of burn time, soy wax infused with beeswax - 100% paraffin-free. 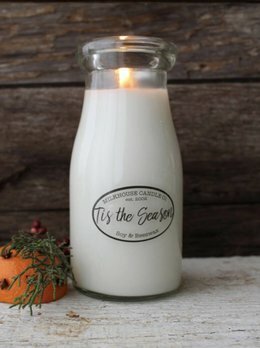 The scents from Grandma's kitchen will come to mind with the Milkhouse Tis The Season Candle! The delicious blend of tart citrus and warm spices with a touch of vanilla will fill your country home. 60 hours of burn time, made in the USA. Fresh cut pine boughs from the deep woods mingle with rich spice. A nostalgic, sophisticated fragrance.Love melts but hate the clean up? Meet the easiest melts ever! Our new Clean Release melt formula won't stick to the sides of most warmers! 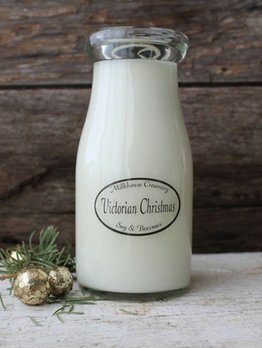 The Milkhouse Victorian Christmas is fresh cut pine boughs of deep woods mingled with rich spice. 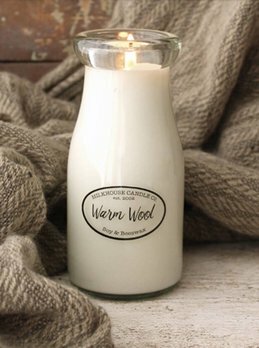 A nostalgic, sophisticated scent poured in to a classic Milk Bottle. 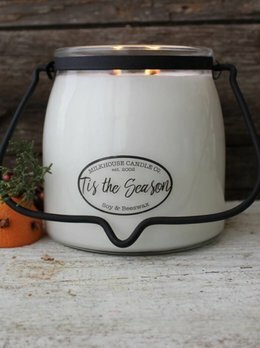 50 hours burn time, made in USA, soy wax infused with beeswax, 100% paraffin-free. 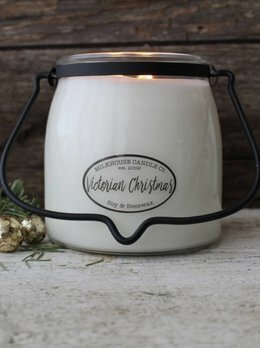 The Victorian Christmas scent from Milkhouse Candles is the fresh cut pine boughs from the deep woods mingling with rich spice. A nostalgic, sophisticated fragrance. Double Wicks to fill your home with fragrance. 60 hours burn! LIMITED EDITION! 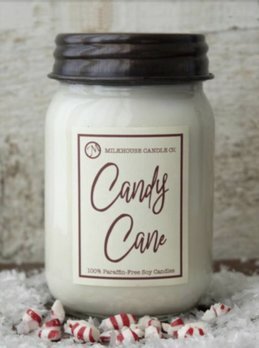 The scent of peppermint brings warm memories of Christmas back and so will the Milkhouse Mason Jar Candy Cane Candle. 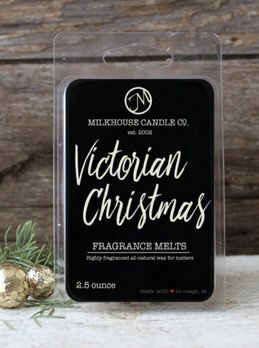 The rich glimmers of spun sugar, pure vanilla bean meld with the classic aroma of sweet peppermint candy. Bring a touch of Winter's beauty to your home with the Winter Cardinal Candle Sleeve. A perfect gift idea for bird loves and St. Louis Carinal fans. Add the glow of candlelight, without the worry of a burning candle. Peace of mind year round!